On-loan Chelsea striker Alvaro Morata scores twice for Atletico Madrid in their La Liga victory at Real Sociedad. Real Madrid suffer a surprise defeat by Real Sociedad as the visitors end a four-match losing streak in La Liga. 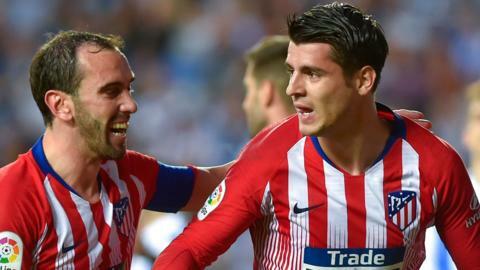 Atletico Madrid recover from a midweek thrashing to beat Real Sociedad and move top of the La Liga table. Spanish football club Real Sociedad have employed a homeless man who had been sleeping outside their stadium.